In Sewing > Buttons > Show & Tell. I have many buttons that I really don't know anything about ,could someone help me with these. the photo with the 6 buttons seem to be handcrafted . thank you! 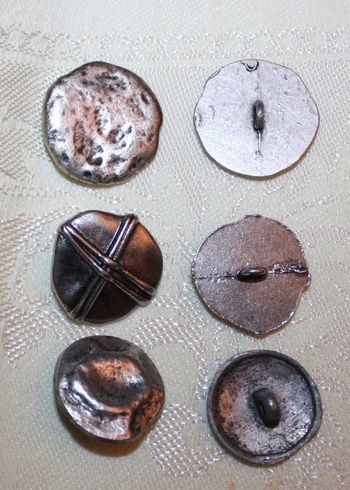 I'm not a button expert, but these look modern to me. I've done a lot of sewing and crafts and I have a number of similar buttons from the 1990s and later. 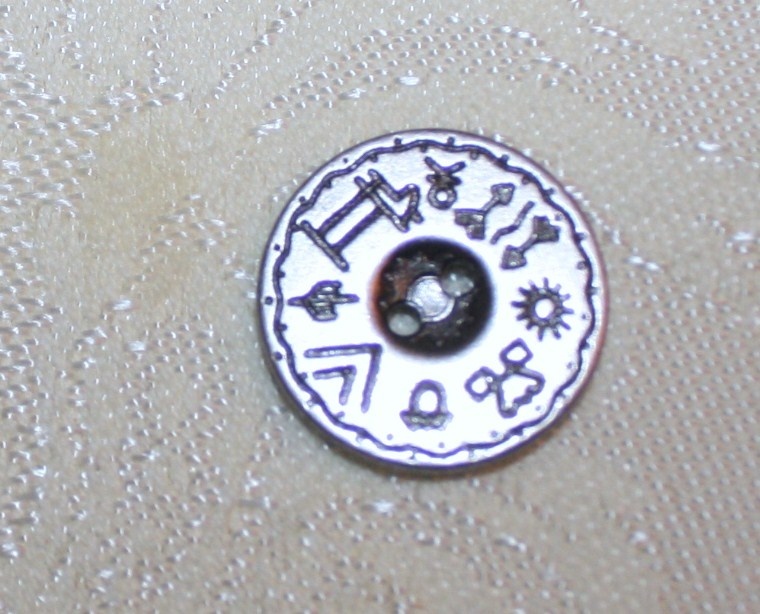 Are the button backs on the right the reverse side of the ones on the left? If so, then it's clear they are manufactured, not handmade. See the lines radiating out from either side of the shanks....means it was machine made and Stef is correct, these are modern. Nice blog Stef! Who brought this plethora of buttons upon us. Look back a few pages and there are hundreds of them to brighten your day.